Today I am going to share another makeup product from PAC cosmetics .. 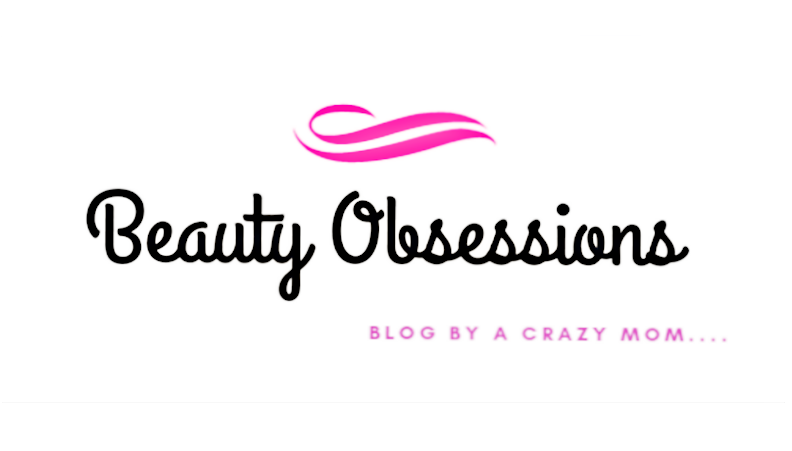 I have shared my view on the PAC beauty blender some days ago,if you have not read that,then visit HERE .. After getting a good experience on the beauty blender,I decided to invest some more bucks on PAC and bought few more makeup stuffs recently.. I have shared my recent PAC haul picture on my Instagram .. Anyway today's topic is on PAC auto lip liner.. There are eight ( i guess) beautiful auto lip liners available in PAC and all shades are super gorgeous ,trust me.. I have picked two shades from those and today I will review one of these.. The shade name is Watermelon , isn't it sounding juicy type .. I am going to mad.. Well jokes apart .. The shade is very pretty .. Here I want to tell you that all the auto lip liners are belonging to mostly red and pink family. I wish they could add some purples,plums and neutral shades as well.. Okk now move to the detailed review..
What PAC says : PAC auto lip liner is a unique formulation which is water proof and long lasting. A lip liner which is going to help your lipstick last longer than you expected . The vitamin E and C content in the lip liner is going to keep your lips nourished and moisturised at the same time . PAC auto lip liner can be used as a pure lipstick and a lip liner ..
Packaging: It has a colour coded packaging.. The lip liner is a twisted pen type actually.. On the liner the shade name also has written. The lip liner comes inside a cardboard box which also has all information on it.. Shade : The shade Watermelon is very pretty neon-ish pink shade with some coral touch .. I love this kind shades.. It can be team up with all type pink lipsticks, peach lipsticks and coral lipsticks . I also prefer it applying all alone like a lipstick and the colour looks so so beautiful. Texture: The texture is really creamy and soft.. You have to be careful while applying. I have broken small portion of my liner while applying .. So you just apply with very light hand. It glides on lips like butter and doesn't pull or tag my dry lips.. But remember ,if you have dry lips like mine,then do exfoliate properly before applying it.. 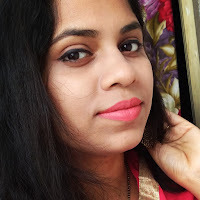 I too dab a bit lip balm before it but no need of that..
Pigmentation & Staying Ability : The auto lip liner watermelon is really pigmented,no matter how deeply pigmented your lips has, but only swipe only can bring the full coverage . Though it is creamy in texture but gives a nice matte finish look. And doesn't dry out my lips for long hours. I don't feel to reapply it even after my meal.. I applied this in the morning as a whole lipstick and take my breakfast and it was their like nothing happened,then I took my lunch at 1pm. and again it was there and in the afternoon i have to remove it with my makeup remover.. I think it will last for 9-10hours easily when applied alone. And with lipsticks it may lasts for 7-8 hours or more .. It is waterproof and transfer-proof as well.. Don't worry if your kissing your BF with this lip liner on, no one will know it because your Bf's cheek won't stain.. Hahaha .. Very gorgeous nion-ish pink colour with a little coral touch (you can notice that under various lightening) . My Recommendation: Highly recommended from my side.. A very pretty pink liner which complements all kind of pink,peach and coral lipsticks.. You also can wear it alone as a lipstick with very subtle makeup and can get a very refreshing look.. You should definitely try this shade.. I am gonna buy some more .. I just love this .. Will share the other shade soon with you all..
Snighda I usually do not buy lip liners as all of them are so highly priced but these Pac lip liners are so affordable and look so beautiful.I will be ordering this one right away as I am in love with it.It is such a pink coral shade and it will go with all pink,peach and coral lipsticks.Thanks for sharing dear.Loved the review. Thank you yamini... Yes .. it is a versatile shade and trust me the other shades are also really pretty.. I have another one and i am loving that as well.. These are such a steel..
Beautiful shade and very affordable. Wow.. Such a pretty color. Wow ! Thats a pretty shade.!! Looks so good on you ! Lovely review ! Really lovely color, loved it.